A luxury hunting retreat set near the terminus of the Appalachian Trail. Specializing in Pheasant Hunting, hiking, biking, summiting, and more.Our new, Luxury Lodge sleeps 15, has a Chef's Kitchen, a Boardroom, perfect for corporate retreats and group events. Hunt East Adventures is located in Downeast Maine and offers guided Moose Hunts, Deer Hunts and guided Fishing Trips for Trout, Salmon and Smallmouth Bass. This area of the state is rich in outdoor sporting history and well known for its spectacularly rugged Atlantic coastline and often referred to as the Bold Coast. We are a small guide service focused on providing our clients a safe, ethical and memorable outdoor adventure. We take a great deal of pride in our ability to offer a personal hunting and fishing experience. Many of our customers arrive as clients and leave as friends, and we want it to stay that way. We are located in the deep thick northern Maine woods in Aroostook County. Do you enjoy Hunting, Fishing, Camping, or Sight Seeing? Then, come and join us for another exciting year of enjoyment in the woods of Maine! Check out our pages of happy customers throughout the years. Open year around providing exceptional facilities and services in the outdoors of northern Maine. Top notched lodging and real experience and skills in outdoor adventures. We have 3 housekeeping cabins that sleep 4 to 6 people. Tent sites also available. 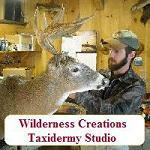 Hunting for deer, moose, and grouse available. Fishing for bass, trout and salmon in our pristine streams and lakes. Also a great vacation spot to relax and unwind. Offering deer, bear, moose hunting and fishing. Still taking booking for bear hunts over baits. I offer guided hunts for bear, deer, and moose. Guided small mouth bass and brook trout fishing. Canoe trips and shuttle service for local canoe trips. Camp rentals all seasons. Northern Maine Outfitter in Patten for Bear, Moose, Deer and Small Game. Specializing in WMD Zone 11. Moose hunting, deer & bear also smallmouth bass fishing & wade fishing for brook trout. 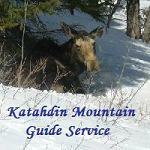 Offering camp rentals and Snowmobile Rentals in Southern Aroostook County. Located on the East Branch of the Mattawamkeag River. 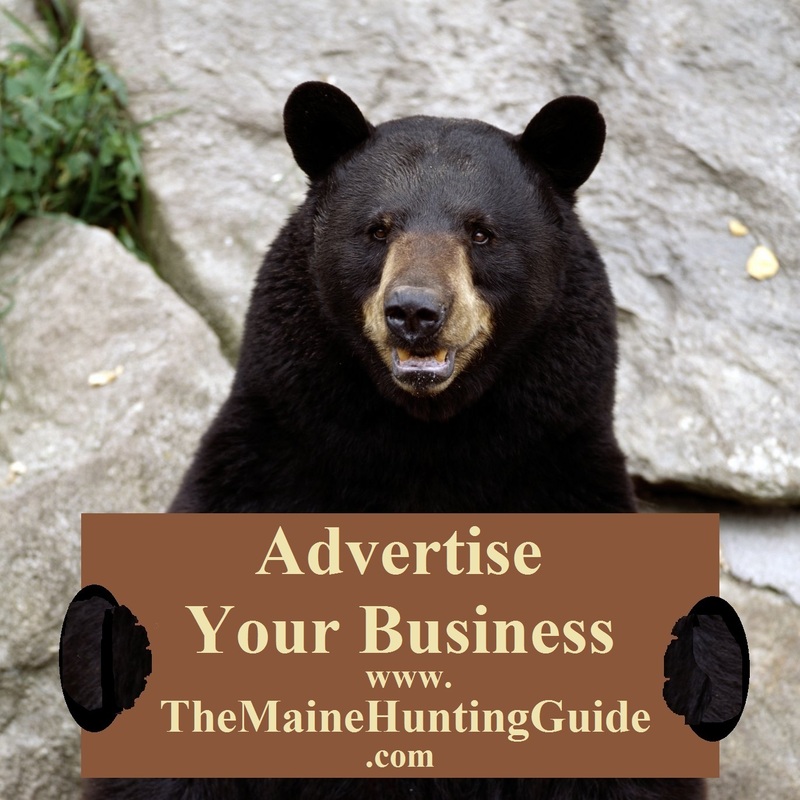 With a lifetime of running the woods of Maine, I am ready to take anyone to anywhere in the state and hunt,fish and educate you in what it is you want to pursue. If you want a personal experience unlike what you have had from hiring guides in the past, just contact me. in WMD 17, 23, 26. Moose in WMD 4, 6, 7, 11. Fly fishing trips by the day and overnight. 1/2 day Pan fish trips for the kids. We specialize in Bobcat and Bear hunts with hounds. We operate from Grand Lake stream a sportsmans paradise, We are the premier commercial Bear hunting operation in Washington county. Here at Laneys Guide Service we start guiding as soon as the ice goes out for Landlocked salmon and lake Trout, from there we switch to smallmouth bass, then bears, then onto grouse and woodcock hunts with fine english pointers and setters. Then it is trophy whitetails and trapping, then our specialty bobcats. Retired Maine Game Warden and Master Guide offering fully guided hunts for grouse and woodcock over trained German short-hair pointer, snowshoe hare with trained hounds, turkey, moose and semi-guided deer hunts. We also provide guide services for, fly fishing, trolling, general angling and ice fishing for trout, landlocked salmon and bass. Also offering exceptional lodging and meals at China Lake lodge, as well as East Grand Lake. You won't be roughing it at these four season locations. 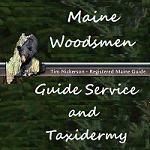 Maine Woodsmen Guide Service is a small family run business. We only take a small number of hunters a week in order to give you the best opportunity to harvest a bear. Group rates available. Hunt bear, deer, moose, bird, rabbit, coyote. Fishing, hiking, mountain biking, cross country skiing, snow shoeing, moose watching. Our Guides have over 50 years combined experience hunting, fishing, exploring & photographing the great outdoors. Our wildlife hunting experiences have taken us to Upstate New York, Pennsylvania, Florida, Massachusetts, Texas, New Orleans & Maine. Williams Brook Outfitters has exclusive access to 1000's of acres of pristine hunting grounds abundant with wildlife, access to well over 15,000 acres private land and of course...FREE access to the Public Maine State Parks and viewing areas! At William's Brook Outfitters, we limit the number of hunters to insure quality hunts, this also means fewer animals harvested, which increases the odds of taking a mature trophy animal! ALL hunts are 100% Fair Chase. We will put you in front of desirable game, harvesting the trophy is up to you! We practice Game & Wildlife Management to ensure a strong population for the future. We insist that you DO NOT shoot our sows with cubs or cubs alone. Hunting Camp for rent in Haynesville, Maine. Spend a few days or a week relaxing in the Maine woods. The camp sleeps 4-6 people with space for more on the floor! Four wheeler trails in abundance. Gas stove, lights, $50 per night or $300 for a week. Call 207 232-6470. Available September, October, and November (except November 12th - 18th). We are located in the heart of WMD 11 but close to the other districts listed. We are also offering a delivery service to southern Maine. We do a complete line of deer, moose, bear, beef, pigs, etc. We also vacuum seal. Very clean facility and walk in cooler. We are David and Katrina, live in the northern part of Maine and have a recently launched website offering shooting targets and associated accessories. The site is www.Northwoodshootingsports.com come and take a look at the site to see if it is something that would fit you shooting target needs.